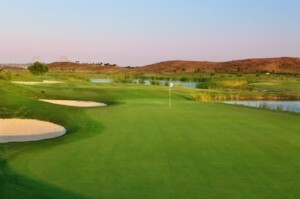 Precise Resort El Rompido (above) is a superb golf resort hotel offering a 5 star luxury hotel and 4 star apartments, both surrounded by the verdant fairways of the 2 El Rompido Golf Club courses - North and South. With Stay and Play packages available all year around from only £414pp for 7 nights Half Board basis the quality and value is unbeatable here at Precise Resort El Rompido! 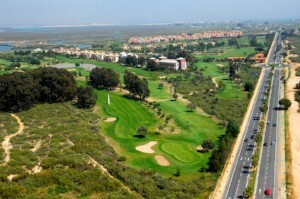 The Isla Canela Golf Resort (above) offers a perfect combination of a good 4 star golf resort hotel or 2 bedroom apartments with an on-site golf course (Isla Canela Golf Club) and an unrivalled location just outside the historic border town of Ayamonte, and close to the lovely sandy beaches of Playa Canela. 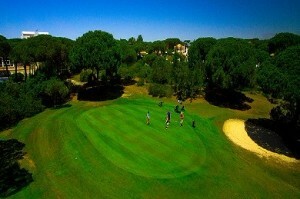 Rates available in the apartments from only £17pppn including unlimited golf! The 4 star Islantilla Golf Resort (above) is a perennial best-seller for us here at Golf de la Luz and continues to be a favourite destination for many of our clients. The hotel is a comfortable venue to relax and enjoy some down-time alongside the 27 holes of challenging golf at the on-site Islantilla GC. Flexible Stay & Play rates always available from only £59pppn including unlimited golf! 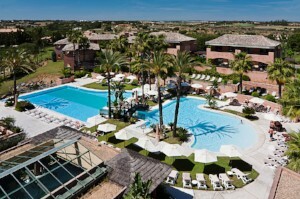 "Small, yet perfectly formed" is how some of our guests describe the 4 star Nuevo Portil Golf Hotel (above). With only 69 rooms (inc 8 Junior Suites) the resort is a quiet and relaxing venue for a golf break for couples and small groups. Golf packages are available priced at only £299pp for 7 nights B&B with 5 rounds of golf included at the on-site Nuevo Portil GC... unbeatable value! 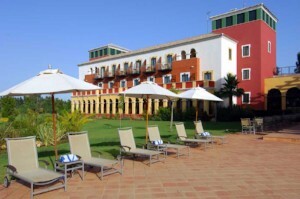 The 4 star Melia Atlantico Hotel occupies an unrivalled beachfront location next to the Isla Canela Marina. 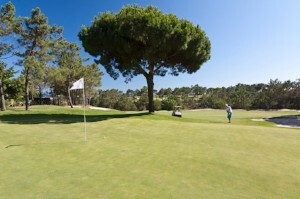 Although it is not specifically a golf resort hotel we have some excellent Stay and Play deals available from April - June and September - November including a whole range of durations and golf courses such as Quinta do Vale (above). 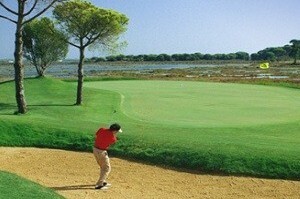 From only £162pp for 3 nights Half Board with 2 rounds of golf... book now!